Jim Kempton is a lifelong surfer, cook, and writer. He has been the editor and publisher of Surfer magazine; the director of Quiksilver's Crossing Project, a boat that searched the world for the best surf breaks; the director of media for Billabong; and the owner of the former Margarita's Village, an award-winning regional Mexican restaurant in San Clemente, California. The San Clemente resident is currently the president of the California Surf Museum. 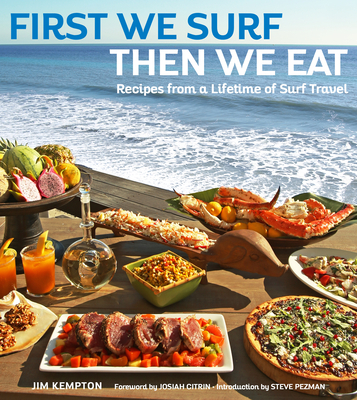 Foreword author Steve Pezman is the founder, editor, and publisher of The Surfer's Journal, and chef's foreword author Raphael Lunetta is the chef/owner of the two Lunetta restaurants in Santa Monica, California, the founding co-chef of JiRaffe, and a lifelong surfer.